Are you new to life insurance and want to know what to expect? This article provides the most common questions asked about life insurance of us by newcomers. Hopefully it will eliminate any fear or confusion about the process. Let’s break it down: life insurance companies have what are known as risk (or health) classes, which are based on a number of factors including things like your health and lifestyle. The risk class that you are placed in determines your cost for life insurance. Most use a 16 stage scale. The top rate category is generally referred to as “Preferred Best” or “Preferred Plus”. In the industry, it’s sometimes referred to as the “Superman” rate in that you need to be considered minimal risk across the 20 or so risk factors your insurance underwriter will look at. You need to be at an optimal height/weight, referenced as “build”, for your age, no real health issues, though well regulated blood pressure and cholesterol may be OK, and low risk lifestyle. The 16th rate class is at the other end of the spectrum. It’s where you’re too high of a risk to qualify for life insurance. This is referenced as a “decline” – the underwriter will decline to offer coverage to you. If you want to know which rate class you’ll likely qualify for, please see our illustration – What Rate Class Am I? What Do Underwriters Ask About? It’s no surprise that your age affects your options for life insurance and your rates. The older you are, the more you can expect to pay for life insurance. The fact is, the older we are, the statistically closer we are to dying. Therefore, the insurer’s requirement to pay a death claim increases. Insurance companies use a formula called “age nearest” when determining your “application age”. This means they will round your age up or down to your closest birthday – referred to as your “insurance birthday”. Some companies will use your actual birthday. Don’t worry, we’re here to help! We’ll tell you which company has the best option for you, and we can “backdate” a policy by up to 6 months, if needed. If you’re over age 50, this “backdating” can save you thousands of dollars over the course of your policy. When applying for a policy with a death benefit of $100,000 or more, you’ll likely be asked for your annual income. Another way to look at it: life insurance can only protect an estate, not create one. Unfortunately, you can’t buy a big life insurance policy on your elderly, ailing parent to fund an inheritance they can’t ever save for. 20-40 years of age: you can typically qualify for up to 35 times your household income. 41-60 years of age: you can typically qualify for up to 20 times your household income. 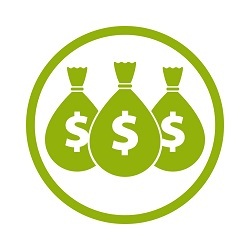 61-75 years of age: you can typically qualify for up to 10 times your taxable income. There are exceptions for people with a large net worth needing life insurance to protect against estate taxes, and those buying life insurance to protect their business. JRC specializes in unique cases, and knows the “go to” companies for exceptions to the rules (part of our insider knowledge), so give us a call and we’ll determine your most aggressive and affordable options. Not surprisingly, if you have a dangerous or hazardous occupation or hobby, you can expect to pay more for life insurance. Life insurance companies base their rates off of mortality risk, and if your day-to-day activities put you in “harm’s way” more often than the average person, the insurance companies will charge you more if they are able to approve your policy. Some examples of occupational hazards include: Swat team members, high-rise building erectors/iron workers, smoke jumpers, experimental aircraft pilots, and oil platform/rig workers. The good news is law enforcement and fire fighter’s rates are NOT affected. Thank you, Mr. Underwriter. In addition to having a hazardous occupation, if you have any hazardous or dangerous hobbies, these can affect your rates and eligibility for life insurance. If you ride a motorcycle, your rates are not affected unless you’re professionally racing. Most insurers won’t add a “risk assessment” to scuba divers unless your depth is beyond 30-40 feet and/or wreck or salvage diving. 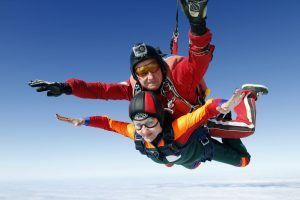 If your hobbies include bungee jumping, skydiving, or hang-gliding, finding life insurance can be a challenge. If you’re not sure if your hobby is considered “dangerous” feel free to call to speak with one of our experts who can help. 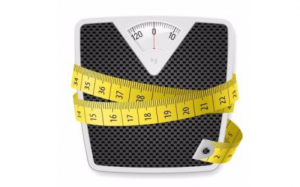 Your height and weight proportion (BMI = Body Mass Index) or body mass may have an effect on your life insurance rates, although, most companies are relatively lenient with an applicant’s weight as long as it’s not creating a health issue such as diabetes or hypertension. In fact, some of the companies we work with actually allow a higher weight after age 50 and 60. The reason behind this logic is that if you become hospitalized with an emaciating condition like cancer, having a few extra pounds will increase your odds of survival. You could afford to lose 20-30 lbs without weight loss causing additional problems. A few insurance companies, including Prudential and Banner Life, provide “underwriting credits”, where, if you’re good in cholesterol and blood pressure, they’ll allow a weight allowance above their standard scales. In other words, you may qualify for a better rate than shown on paper if you’re taking care of yourself. Everybody knows smokers pay more for life insurance, but did you know some companies are more lenient with tobacco use than others? 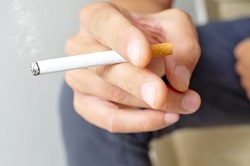 Most life insurers will charge someone who uses any form of tobacco a smoker’s rate, 2- 4 times the cost for someone who does not use tobacco, but, a select group of life insurance companies we work with do not charge someone who uses cigars, electronic cigarettes, chewing tobacco, nicotine gum, or even marijuana a “tobacco rate”. Yes, hard to believe you could be puffing on a cigar during your insurance physical and still qualify for a “non smoker” rate! In addition, if you only smoke a cigarette once or twice a month, we also have the company for you! As long as you do not have nicotine in your urine, we may be able to get your policy approved at a non-tobacco rate. No matter your situation, JRC match you to your best affordable life insurance option. 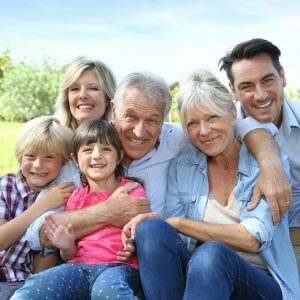 If you are under 60 years of age, you’ll generally be asked about your immediate family’s health history (birth parents and siblings) to determine whether you’re at an increased risk for any hereditary diseases. Some insurance companies may consider, a family history of circulatory disease, cancer, or diabetes, while some will only consider a death from cancer or heart disease before 60. All life insurance companies are different, though, and some are much more lenient than others. ING/Voya, for example, doesn’t ask about cancer, whereas other insurers could drop you a risk class or two if there’s been an early death as a result. Others will overlook gender specific cancers – if you’re a guy, your sister’s breast cancer won’t work against you. If you take prescription medications, or have taken a medications in the past for more than a short time, please make sure to tell your agent. They can tell you if there’s something which could affect your life insurance risk. Once again, this varies by insurance company. For example, some insurance companies will ding you for a preventative medication for cholesterol or blood pressure, while another will give you “credits”, helping your rate. If you’re applying for more than a minimal amount of life insurance, an underwriter will review your past medical records. It’s really the only way they can make a good assessment. If you’re one of those people who “never goes to the doctor”, this isn’t a good thing in their eyes. Statistically, you’re a much better risk if you’re having recurring wellness checks/physicals. Accordingly, those with no health insurance are often turned downed (“declined”) when applying for more than a “burial policy”. The medical community and life insurance companies share information held by the “MIB” (Medical Information Bureau). It’s part of the disclosure/release you’ll authorize when applying for life insurance. Think of this as a positive; you want an insurer to do their due diligence in order to quickly pay your family a death claim should you die as a policy holder. Health issues reviewed cover just about everything…cancers, any stents/bypass surgeries, deep vein thrombosis, etc. In addition, diagnostic results such as treadmill stress tests and EKGs will be reviewed. Don’t be discouraged or fail to apply for life insurance if you’ve had even serious issues. We’ve had clients approved after quadruple bypass or some pretty serious circulatory issues. What’s important is that treatment is either complete, or you at least have a complete diagnosis with at least 6 months of maintenance treatment behind you. 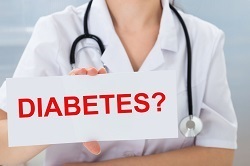 Have you ever been told that you have elevated blood sugar or that you are a diabetic? Elevated blood sugar, and your A1C effects your cost of life insurance. It once again varies by insurance company. Diabetes and elevated A1c is the most common health consideration for JRC clients. As a result, we work with the insurance companies most liberal for this common ailment. In general, insurance companies award the lowest rates to applicant who were diagnosed after the age of 50 and have had diabetes for less than 10 years. In addition, the insurance companies prefer an applicant that does not take insulin. Medications such as Metformin are looked at more favorably than insulin, however, we successfully help clients find life insurance with either treatment. Underwriters want to see that A1c is managed and consistent, if not improving. An A1c of 8.0 or better is what they’re looking for. Additional considerations life insurance underwriters may consider include country of residency, travel, current bankruptcies, and criminal history. Questions? We have answers! If you’d like to know what kind of life insurance you’re eligible and your likely cost, send a life insurance quote request online or call us directly. Our agents have helped thousands of clients find the lowest-priced life insurance options available for them from a top-rated life insurers in the business. We look forward to doing the same for you.